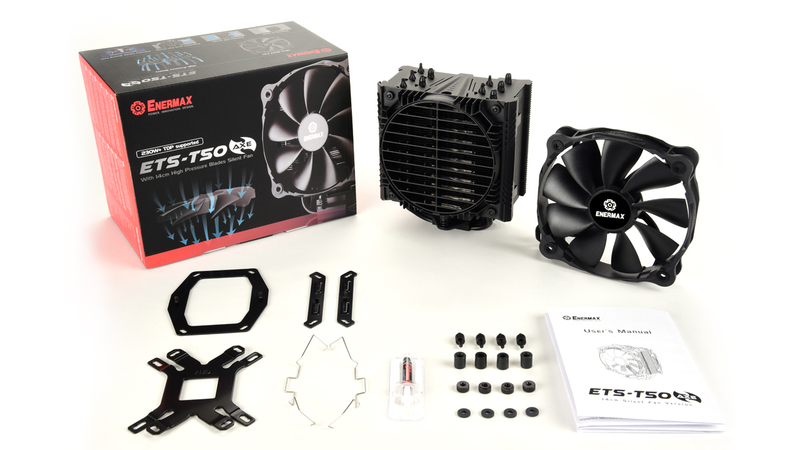 The ETS-T50 AXE Silent Edition is a high-performance CPU cooler with a cooling capacity up to 230W TDP and leading innovative technologies. 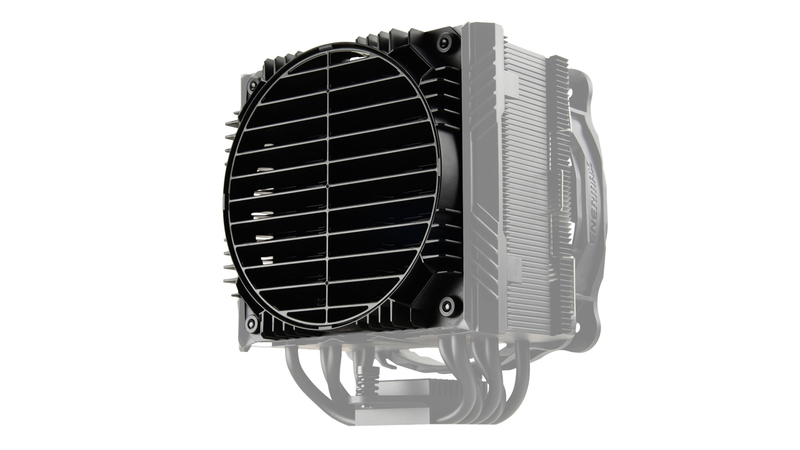 The asymmetric design with five 6 mm heat pipes with the Heat Pipe Direct Touch technology ensures a quick heat transfer and allows the installation of high RAM modules. 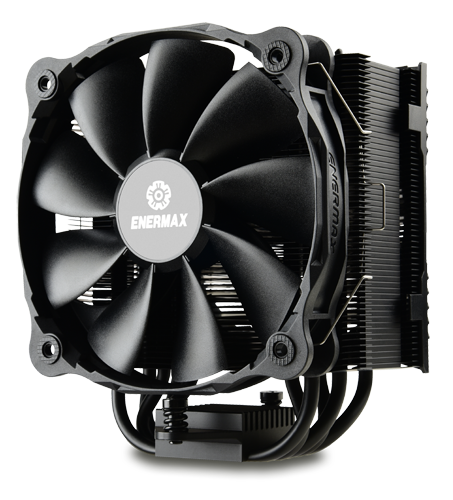 The cooler is equipped with a 14cm ENERMAX fan with patented Twister Bearing™ technology. 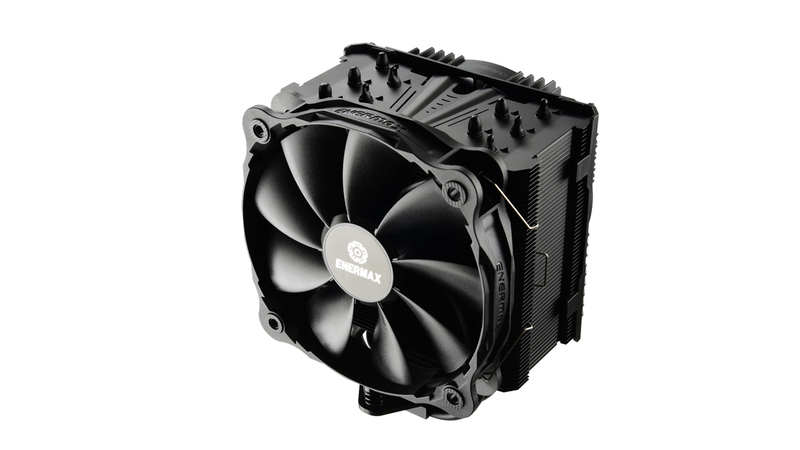 Pressure Differential Flow Design – increases the airflow up to +15%. The air will be guided through conic tunnels to speed up the airflow. Due to the faster transportation of the cool air, heat will be removed more quickly. Vortex generators are applied in aviation industry. They make sure that the air stream is lead as close as possible along the airplane’s wings. 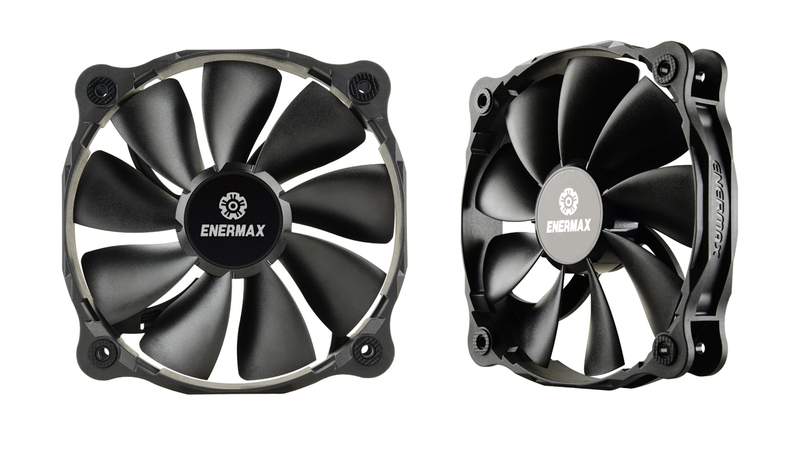 During the CPU cooler development, the Enermax engineers recognized the potential of this technology to optimize the air stream inside the heat sink: Small spoilers on the fins, the so-called Vortex generators, conduct the air close along the heat pipes. Much more fresh air can be transferred to the back of the heat pipes. 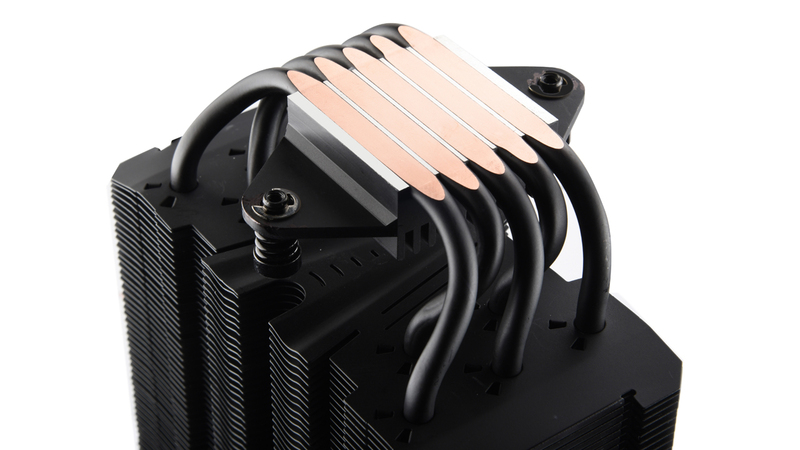 With the patented Heat Pipe Direct Touch technology the heat pipes rest directly on the CPU. 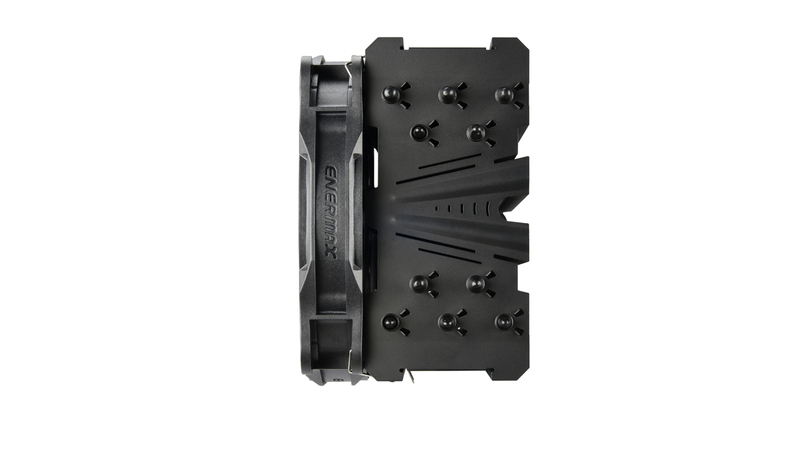 The advantage against a base plate is the faster transfer of heat without any additional resistance. 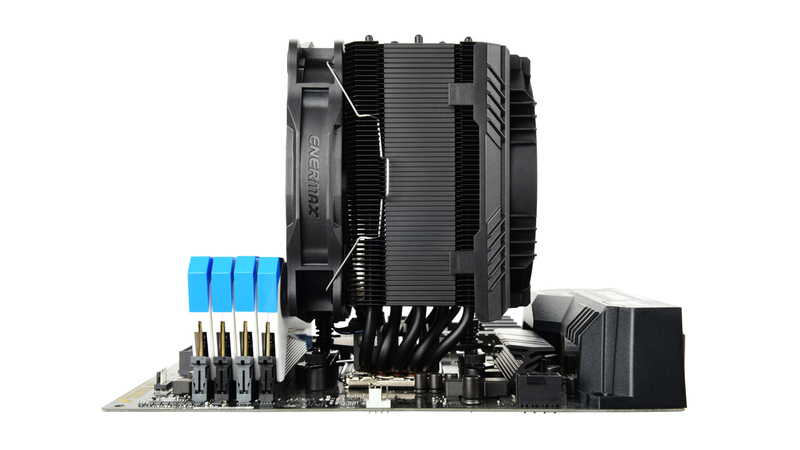 The asymmetrical heatpipe design creates additional space for the fan to prevent high RAM modules from being blocked. 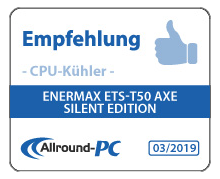 The ETS-T50 AXE Silent Edition is equipped with a 14cm High Pressure Blade fan designed for use on CPU coolers. The patented Twister Bearing technology ensures smooth operation and a long service life of up to 160,000 hours MTBF. The 9 High Pressure Blades rotate at 500 — 1.000 RPM to ensure ultra silent operation. The Thermal Conductive Coating is a thin protective layer that prevents oxidation without compromising the heat transfer. 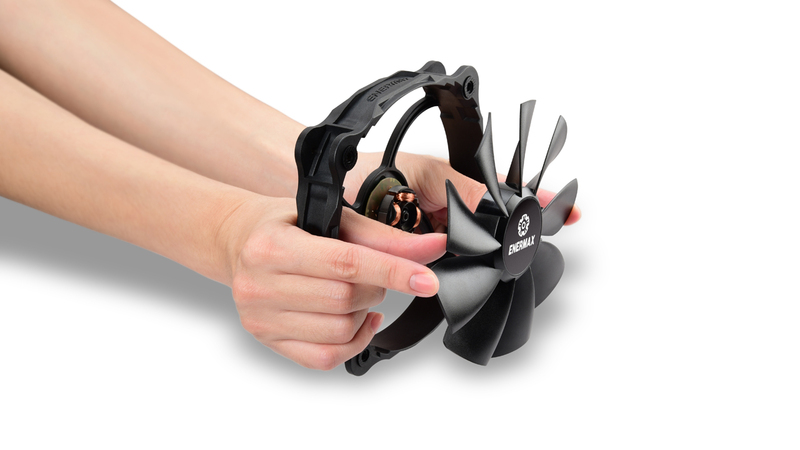 The equipped Air Guide offers to the user the possibility to direct the airflow into the preferred direction. 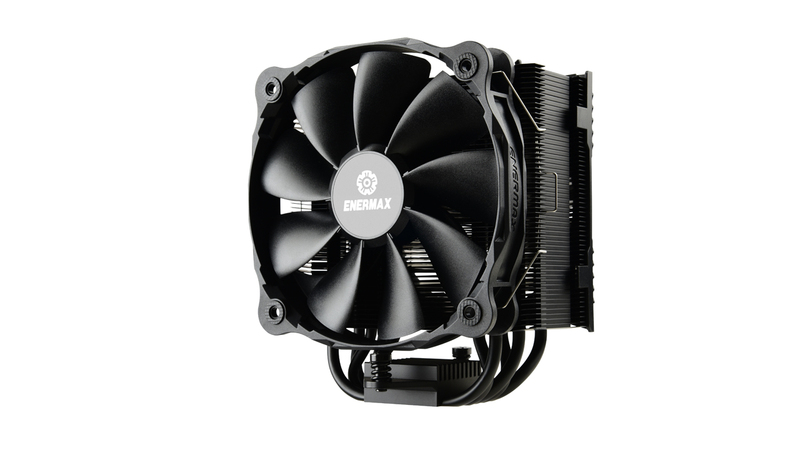 This allows the possibility to create the perfect case airflow according to the needs of the system.